Local rivers are running high this summer and wading safely is crucial to avoid dangerous situations. Fly fishing is not usually considered a dangerous sport. The truth is, however, that any activity that takes place in or around water automatically has the potential for inherently risky situations. Moving water only further complicates the setting. Common sense and a little caution go a longs ways towards preventing accidents and I have often told my clients that if you are in deep or fast enough water to make yourself uncomfortable, get out slowly and safely. 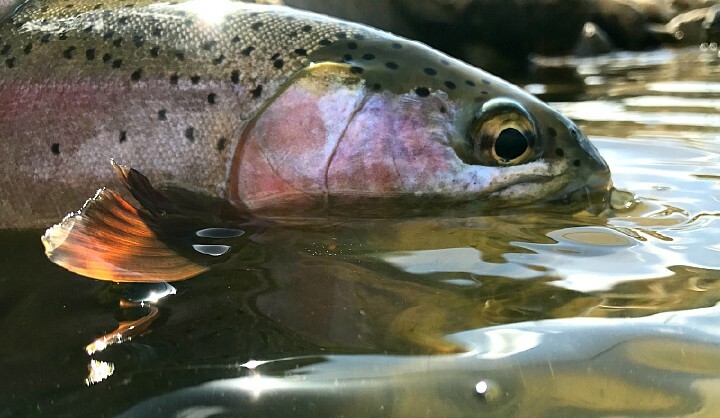 Wading is no time to take unnecessary risks and no trout is worth dying for. Many an overly aggressive angler has taken a serious unplanned dunking in cold water to remind them that the river is always the boss. Even on a hot summer afternoon, the chilly water of a trout stream can cause hypothermia. 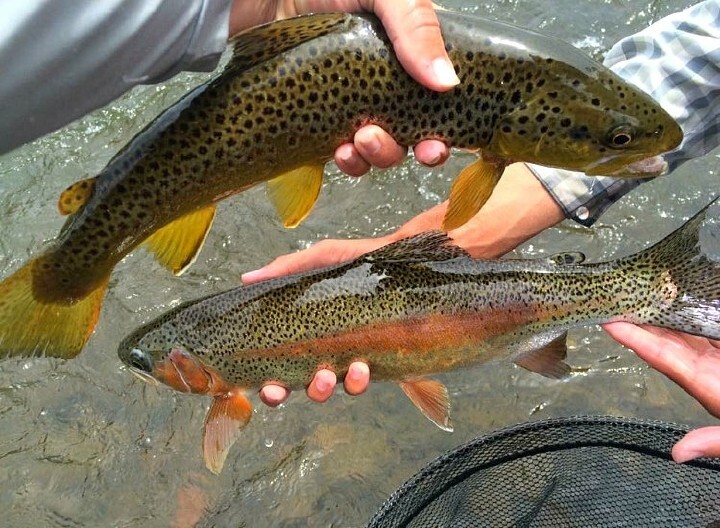 There are ways to wade more safely and even become a stronger wader and reach more fish. Here’s a few tips to try the next time you step into the river. 2. Avoid wading in water deeper than your knees if at all possible. Water deeper than this with even moderate current becomes very hard to wade in safely. If you can see your feet you are on the right track. Chances are if you are standing in water deeper than your knees you are spooking trout anyway. 3. Waders come with a belt for a reason. Therefore it is important to use them and cinch them down as tight as you can without being uncomfortable. They help to keep water from coming in should you fall in and also trap air inside your waders creating a little buoyancy. 6. Whenever possible use the buddy system while crossing a river. Wade side by side with arms linked around each other’s waist or shoulders. More feet on the bottom amounts to more stability and should one angler slip, the other is there to lean on for help. 8. Anytime wading conditions are difficult use a wading staff. They are immensely helpful and save many anglers from a cold, wet slog back to the truck for a heater and dry clothes. 9. Late spring in the Rockies is snowmelt runoff time when rivers swell with vastly increased and deadly flows. Avoid wading at all during peak runoff. Consequently, this is when lake fishing is at its best. 10. The shallow tailouts of long pools are the safest place to cross a river. 11. Stay away from river hazards like logjams and ice shelves. Take the time to walk safely around them on shore. 12. If you do happen to fall into fast currents and find yourself drifting assume the “whitewater” seated position and push off of rocks with your feet while backstroking into calm shallow water where you can back out or stand up. Trying to stand up in fast, deep water and fight strong current is rather futile. 13. Finally, respect the river and use common sense. If it seems like wading doesn’t feel safe it probably isn’t. Fish from shore,banks drop off steeply and fast current is only a step away.. In conclusion, at Vail Valley Anglers, safety is always our number one priority on all of our guided trips. Therefore, fly fishing and wading should be a fun outdoor activity and any safe day on the water is a good day on the water. 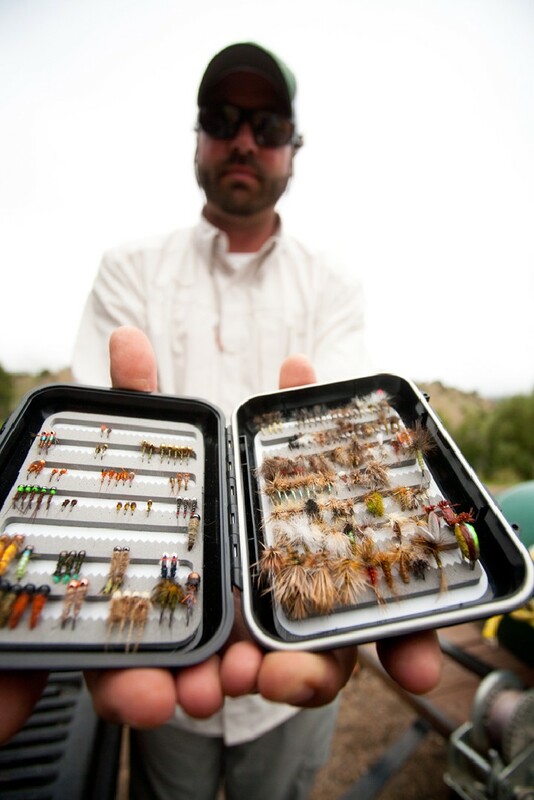 Stop by the shop in Edwards for advice any fly fishing gear like a wading staff or new studded boots.